Mrs. Jeannie MacNiven Schneider of the Rome Community passed away June 19, 2018, at her home. Born in Weedon, England, she was the daughter of the late Duncan and Rose Clark MacNiven. She was an antique dealer and a homemaker. She was a member of the Episcopal Church of the Epiphany. She was a member of the National Humane Society, and an honorary member of the Daughters of the American Revolution and the Daughters of the Confederacy. She was preceded in death by a daughter, Sandy Cowart; brother, John MacNiven. 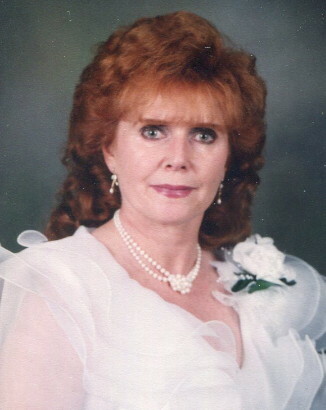 She is survived by her husband of over fifty years, Ron Schneider Sr.; four children: Penny (Rodney) Luttrell, Jerry (Elaine) Tant, Marion (Mark) Dibble, Ronnie (Lisa) Schneider Jr.; fourteen grandchildren, eight great-grandchildren. Funeral services will be held Friday, June 22, 2018, at 4 p.m. from the Episcopal Church of The Epiphany, 1500 Hickory Ridge Rd., Lebanon, with Reverend Kira Schlesinger officiating. Interment – Cedar Grove Cemetery. Visitation Thursday 3-7 p.m. at Ligon & Bobo Funeral Home. Our hearts are with Ron and Family. Jeannie was a blessing to everyone. Sending prayers and hugs to you Ron. Me, mom and Larry just loved Jeanie. There will never be another person like her. She was always such a lady and so kind. I was so blessed call this lady my friend. Ronnie you always made me smile for the way you took care of this great lady. I always enjoyed watching her face because she absolutely adored you after all the years together. You are in my prayers, if I can do absolutely anything please just give me a call , thank you for allowing me the honor of allowing me to help keep her beautiful. I loved you both from day one !!! Ron, I was out of town on the 22nd. My prayers are with you. Jeanie was great lady and will be missed.